The 23rd Annual Loveland Player's Production in collaboration with the Venice Theatre had its opening night performance on May 31st. 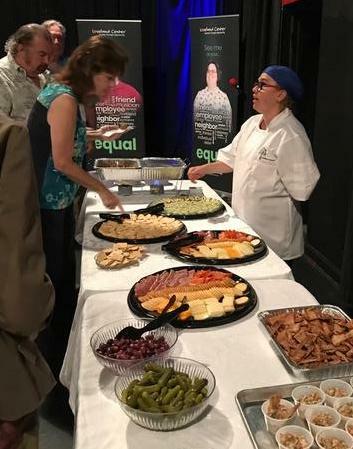 An Opening Night Reception sponsored by PGT and hosted by the Board of Directors was held in the Pinkerton Theatre for invited guests. A special catered menu was prepared by Loveland's Hearty Kitchen Academy. The evening's event helped raise funds for the Loveland Student and the Arts Fund. Gulf Coast Community Foundation pledged a $2,500 match during the reception and with another match of $2,500 from Mr. George Cooper, Loveland was able to raise $13,700 to support the performing, creative, and culinary arts. Following the reception, the cast of Unplugged stepped out onto the stage with 30 Loveland Center actors, 15 community actors with disabilities, and 30 stage production volunteers. 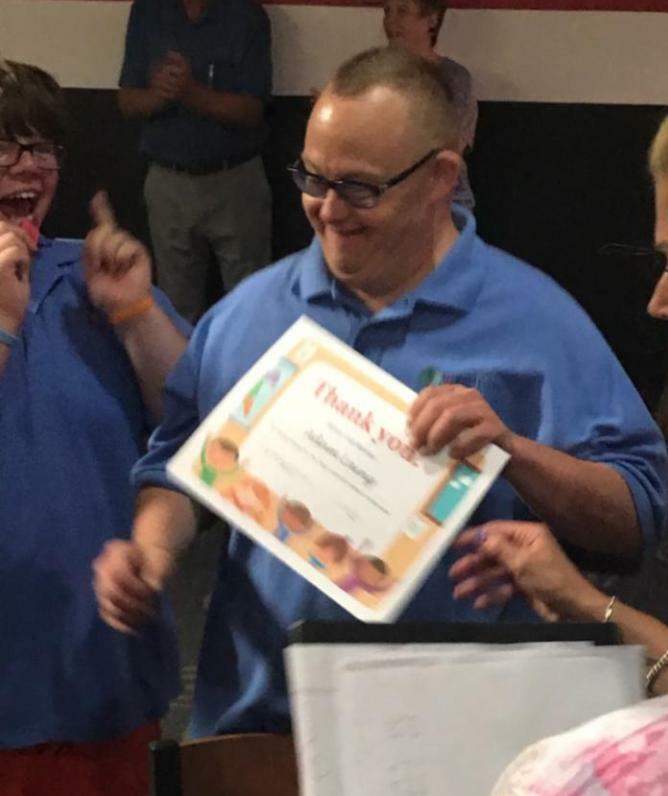 The collaboration between the two non-profit organizations provides individuals with intellectual and developmental disabilities the opportunity for expression through the theatre arts. Performances of Unplugged ran for four shows and all proceeds from these performances benefited the theatre arts partnership of Loveland Center and Venice Theatre. Adam who raised the most money at $353 for The Twig through a Bowl-A-Thon that was held on May 15 at AMF Lanes in Venice. In just one month, Loveland's Aktion Club raised $2,043! With the money raised, Aktion Club members will support The Twig and purchase shoes for children in foster care! Great job, Adam! You made many Twig Kids very happy! For over 20 years, Loveland Center has been the proud recipient of awards from the Tootsie Roll Drive sponsored by local Knights of Columbus Councils. The Tootsie Roll Drive began in 1970 by three Knights from a council in a suburb of Chicago who were looking for a cause to support. Since one of the three Knights had a child with a developmental disability, they committed to contribute to this under-served population and they collected over $30,000 in the their first year. Most recently, Loveland Center, along with InStride Therapy Inc., Senior Friendship Center, and St. Mary's Academy, were each awarded $1,625 to aid citizens with disabilities by the Knights of Columbus Council 7052. Thank you Knights of Columbus for your unwavering support! 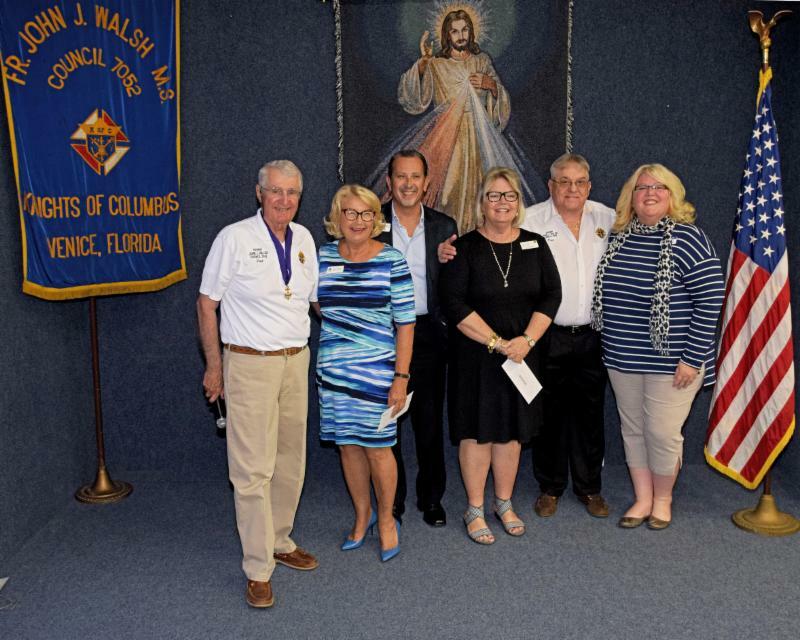 Photo from Left to Right: Fred Englert (Deputy Grand Knight), Doris Berkey (InStride), Rafael Robles (Loveland Center), Paula Falk (Senior Friendship Center), Dan Filar (Treasurer), and Connie Taft (St. Mary's Academy). The Lamoureux Family Match Challenge is here. Don't miss this opportunity to double your gift and impact Loveland twice. 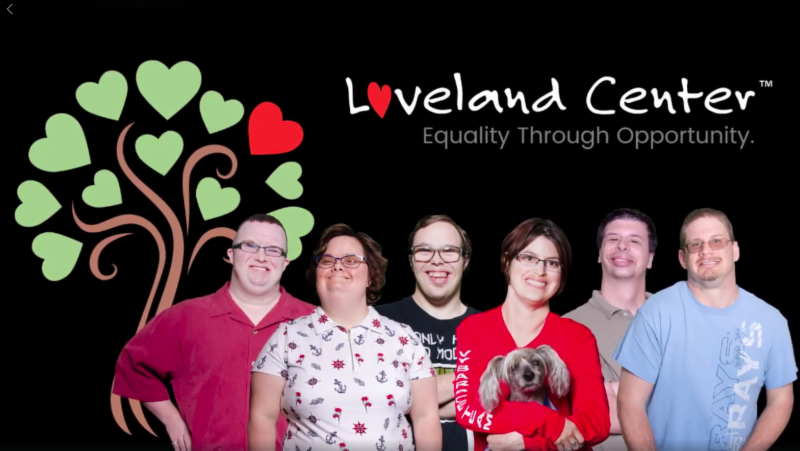 Supporters, like you, know how much help is needed to continue to provide the programs and services for those individuals we serve at Loveland Center every day. With the $35K Lamoureux Family Match Challenge, we hope to raise $70K to fund much needed support for Loveland Center programs and services. Checks sent to Loveland should indicate the Lamoureux Family Match on the memo line. 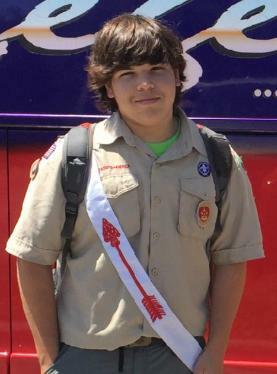 Jonathan Dreier, an Eagle Scout candidate from Troop 26, visited several potential organizations for his final project, and he chose Loveland! Jonathan plans to update our existing garden by repairing broken fences, power washing pavers, remodeling the covered work table with a new countertop, new sink and hardware, and installing a new outdoor ceiling fan. The highlight of his project is building several ADA-compliant garden beds for additional planting areas. Jonathan has gone through several approval channels on his intended project. The final approval came from Boy Scouts of America, so he has created a Go Fund Me page to begin the fundraising portion. He hopes to have the project completed before the fall. Job club meets bi-weekly and teaches practical skills to increase career-readiness, professionalism, and confidence in finding and maintaining a job. ﻿Topics include filling out applications, dressing for success, answering interview questions, making appropriate workplace conversation, handling conflict, and much more job-centered topics. This month, participants learned tips for interview success. Attendees practiced introductions, firm handshakes, and making eye contact with a prospective employer. The club explored the do’s and don’ts of workplace conversation, including appropriate and inappropriate conversation topics. Participants played “To Share or Not to Share,” an activity where they determined whether or not to share certain information with their coworkers. Participants also learned the importance of speaking positively about others in the workplace. Saturday, July 9 at 5:30 p.m.
Loveland will be CLOSED Wednesday July 4, July 5, and July 6 and will REOPEN on Monday, July 9. Have a happy and safe 4th of July weekend!